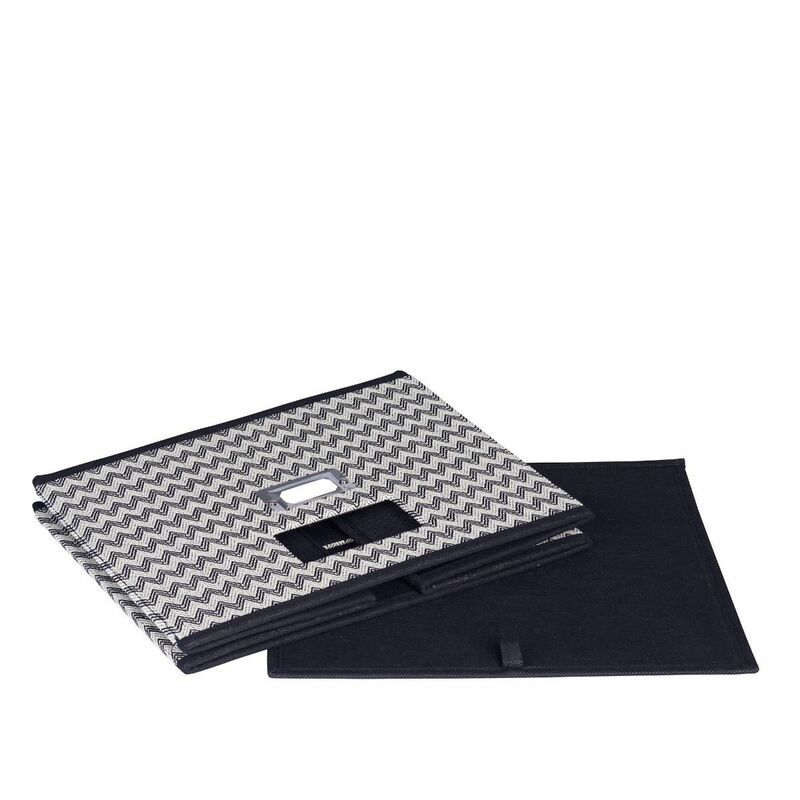 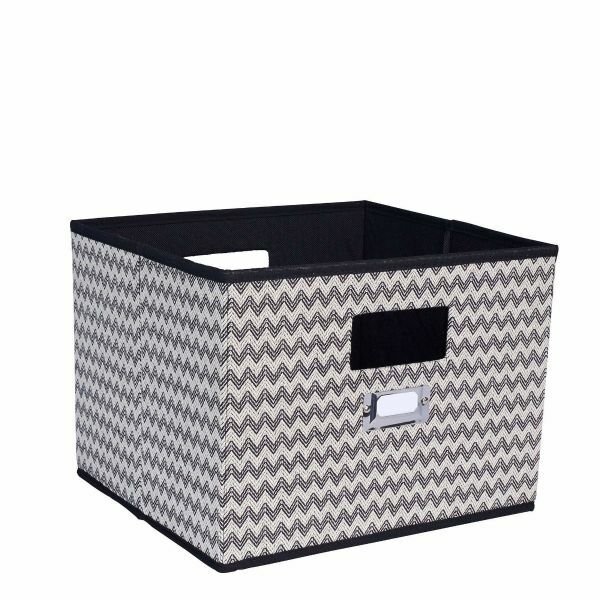 Black Chevron Print Open Storage Cubby is a sturdy fabric storage bin with reinforced sides and a cutout handle. 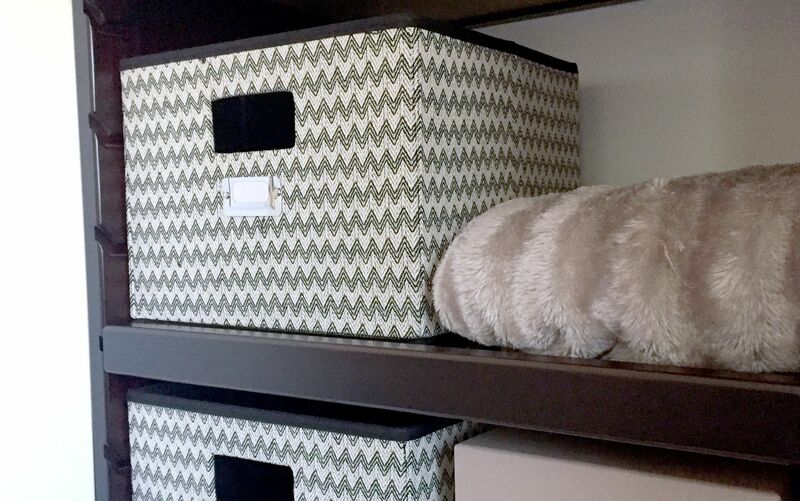 It’s a great storage solution for just about anywhere. 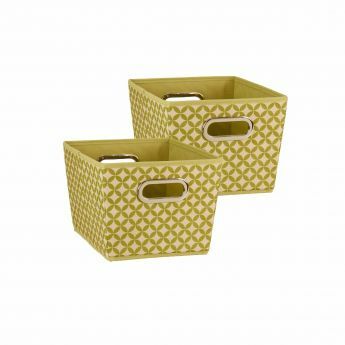 The Open Storage Bins are 10 inches high, 13 inches wide, and 11.5 inches deep.